Wow, that does look like an intelligent way to use a bar bell! 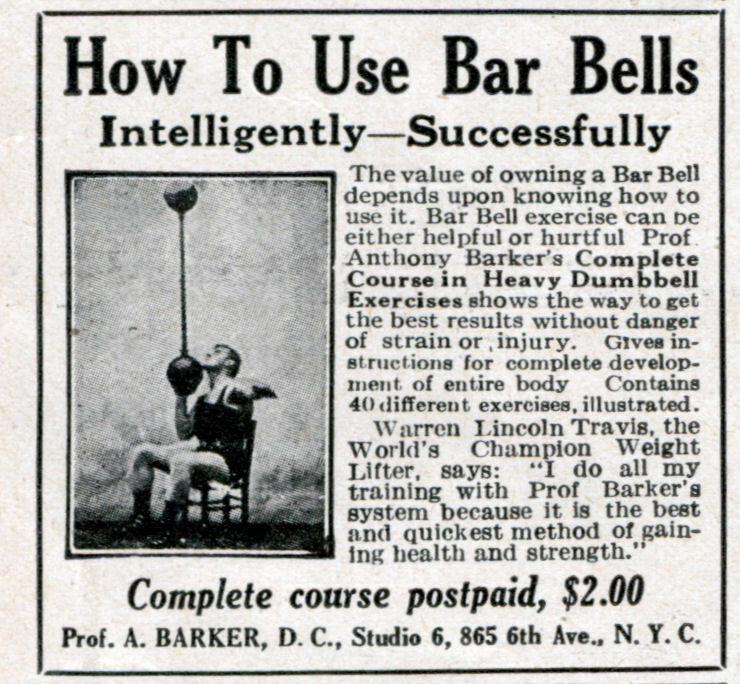 The value of owning a Bar Bell depends upon knowing how to use it. Bar Bell exercise can De either helpful or hurtful Prof Anthony Barker’s Complete Course in Heavy Dumbbell Exercises shows the way to get the best results without danger of strain or injury. Gives instructions for complete development of entire body Contains 40 different exercises, illustrated. Prof. A. BARKER, D. C, Studio 6, 865 6th Ave., N. Y. C.